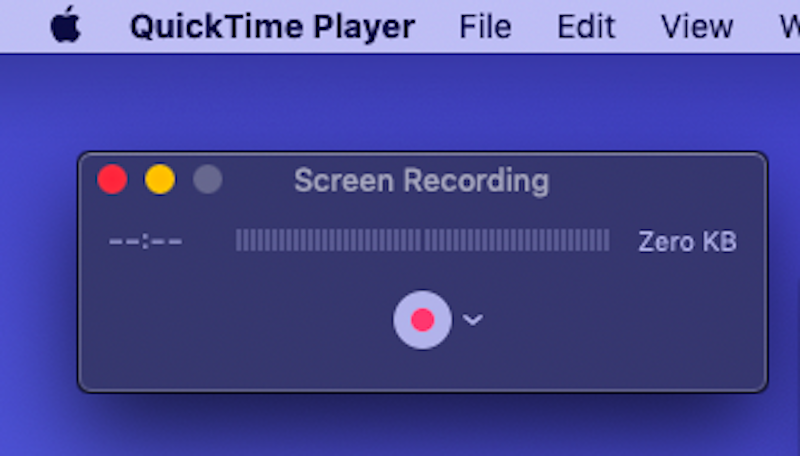 You can screen record on any Mac computer in fewer than 10 seconds using the QuickTime Player app. Screen recording is a great tool for those times when the typical screenshot won’t cut it. 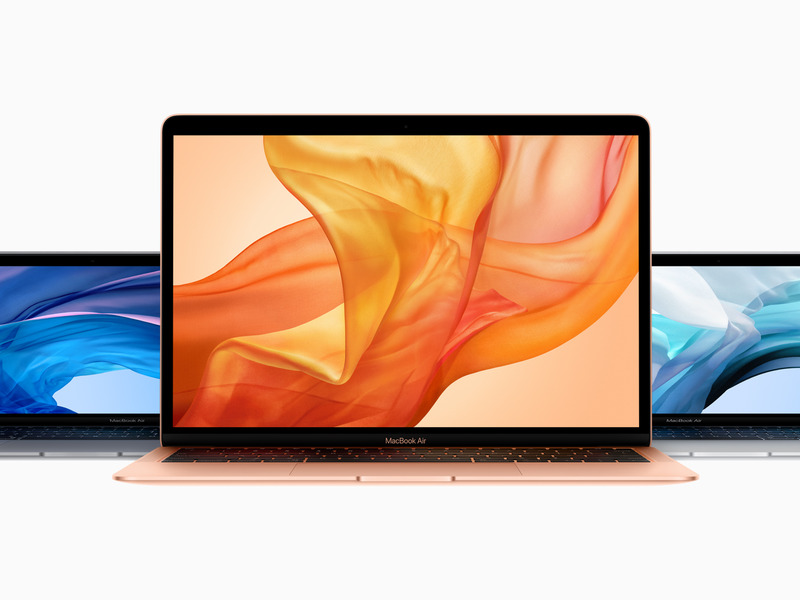 Say you want to capture something on your Mac screen — but a screenshot just won’t do it. You need something more dynamic, or maybe you need to show subtle changes or you just want to save a video without the hassle of downloading it. That’s when screen recordings come in handy. 1. 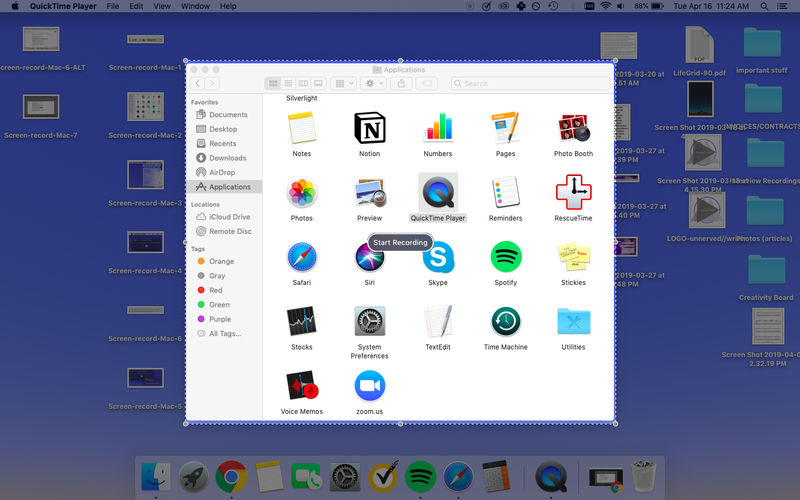 Click to the Finder in your dock (located at the bottom of your screen). 2. Click on the Applications tab in the left sidebar. 3. 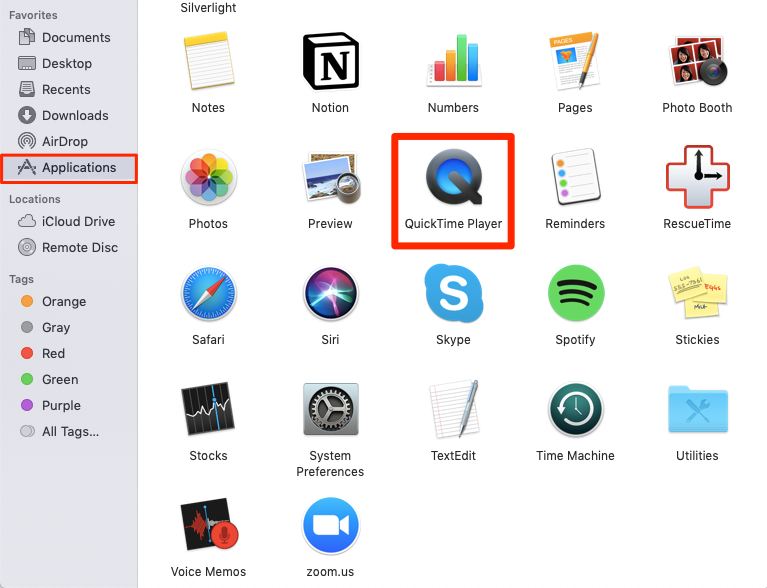 Double click the QuickTime Player to launch it (Note: Nothing will pop up, but you will see the app logo appear on your Mac’s dock). 4. Go to "File" in the toolbar at the top of your screen. 5. Click "New Screen Recording" (this will prompt a new recording window to appear). 6. Optional: If you want to record sound as well (using your computer’s internal microphone), you’d click the down carrot, located next to the circular, white-and-red recording button. 7. Click the recording button. 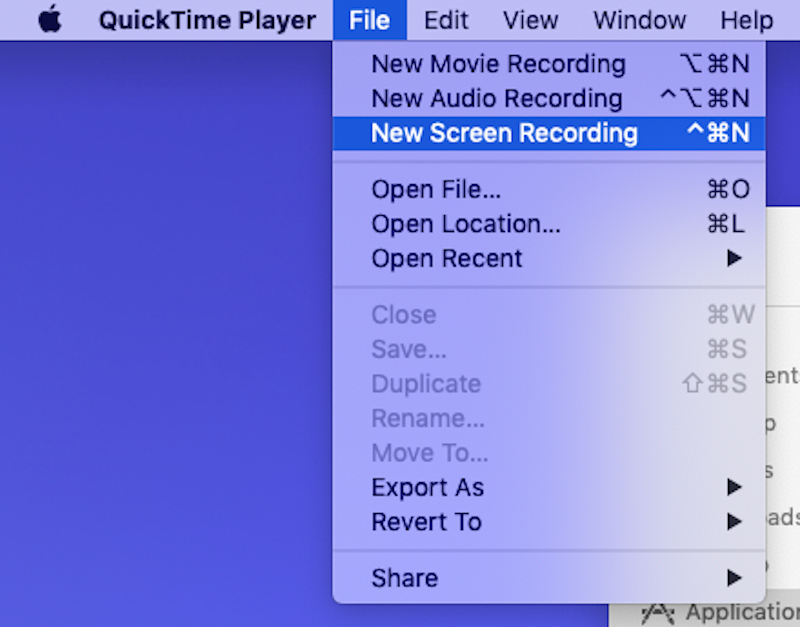 Once you end the recording, a new window of your screen-record video will appear. If you click the red "close" button in the upper left corner of the window, you’ll be prompted to either save it (that’s where you’d be able to name the recording and change its location on your computer) or, if you aren’t satisfied with it, you can always delete it and try again.